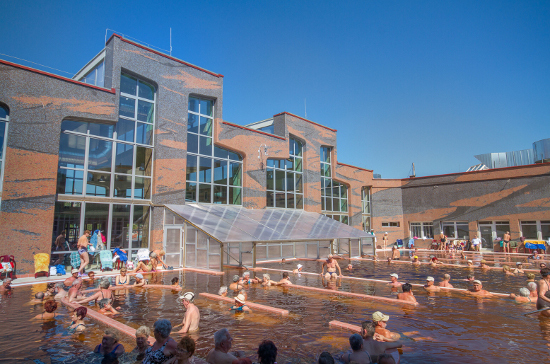 The building of the thermal indoor spa was completely rebuilt in 2014. In the modern two-storey building therapeutic capacity has doubled. Four new pools has built, in which new attractional services help visitors to recreate. 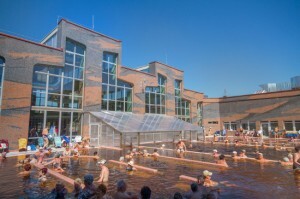 These outdoor pools are surrounded by spacious corridors. The water has a good effect upon gynaecological inflammation, too. After two or three cures a year childless, infertile women could become pregnant on several occaisons. This is explained by the oestrogen, which is found in the water.